The Harlan Ellison Channel on YouTube briefly vanished from the internet the other day, only to blink back into existence after Harlan appealed for help. Let him tell you about it. But please don’t ask me to explain why his anecdote ends with an editorial about Angelina Jolie’s lips. By Andrew Porter: Excellent 53-minute long speculation, cobbled together from weekly segments of Disneyland. You just have to get past the wacky-yuck-yuck Disney background to the serious extrapolation, which happens about 16 minutes in. Then it gets very SFnal starting at 24 minutes, with lots of art based on Chesley Bonestell’s designs. Narration by the guy who did numerous other SF films of the 1950s; great gravelly “this is serious stuff” voice. 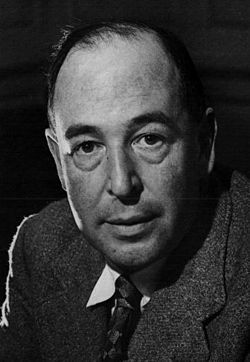 It may be C. S. Lewis’s birthday today, but it’s fellow Inkling J.R.R. Tolkien who’s getting all the headlines in Hollywood. There are plans afoot to film his life story. “Tolkien,” as the project is tentatively called, will examine the author’s life, particularly his formative years at Pembroke College and as a soldier in World War I, and how it influenced him and his work, according to a person familiar with the project who was not authorized to talk about it publicly. David Gleeson, a Tolkien superfan and scholar of sorts about the Middle-earth creator, is currently working on the script. The movie will be produced by Peter Chernin ‘s Chernin Entertainment (“The Heat,” “Rise of the Planet of the Apes”) and set up at Fox Searchlight. By James H. Burns: Can an environmental disaster occur, with no one aware of it? I grew up in the era of “ecological SF,” but I didn’t read much of it, I must confess. Were there ever any stories where local governments, and the media, and others, just turned their backs to peril? I went body surfing towards the end of the day at one of the beautiful Lido Boulevard beaches in Long Island, New York; only miles away from the more famous Jones Beach. Just after 6 p.m., when swimming officially ends for the day, and the lifeguards leave their posts, the beach was relatively empty. When a giant oil drum washed up in the surf. Minutes earlier, children had been playing in those waves. Every lifeguard and beach policeman I spoke with later that week told me the same thing, that a grotesque assemblage of debris–the remnants of someone else’s summer, really– began washing up on shore, two days after the storm. Jones Beach and other parks run by the state, it turned out, had it right, staying closed for almost a full week. while local municipalities were not nearly as careful. That October, the Bay Park Waste Treatment Plant in East Rockaway was severely damaged, pumping thousands of gallons of waste into the local bay waters for months. How could there not have been some harm to the beaches, groundwaters and towns, particularly when you learn that waste was surfacing in people’s homes over two towns away? In Long Beach, about halfway between Lido Beach and East Rockaway, mountains of sand that had blown blocks away from the shore were “treated,” cleaned, before bulldozers returned the dunes to their home. How does the President just not sign an emergency order to send our great Army Corp of Engineers, or someone, to the site, and get it fixed? Only now, has the county government allotted the funds to make major repairs, and even more money might be needed to fully fix the infrastructure. It’s almost a dystopia without portfolio, or app, disasters with virtually no major news coverage. All of which pales, really, to another major revelation, courtesy of Scientific American, that water treatment centers around the country have not been filtering out all of the prescription and other drugs that get dumped down the drain. While one can always switch to bottled drinking water, can it really be safe to be showering in Prozac? 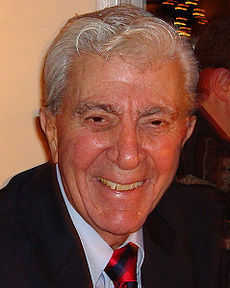 Al Plastino passed away November 25 at the age of 91, one of the last of the classic comics artists. He worked on Superman in the 1950s, and with writer Otto Binder co-created DC Comics characters Supergirl and Brainiac, and the teenage team the Legion of Super-Heroes. Plastino’s death coincidentally came a week after Newsday reported his discovery that artwork he’d done for a Kennedy-themed Superman story and believed had been donated to the Kennedy Library decades ago had actually been given or sold to a collector, had already passed through several hands and was being offered for auction this month. “I cried, I actually cried,” said Plastino, now 91 and living in Shirley, who was one of the most prolific artists drawing Superman from 1948 to 1968. He learned the truth at a recent comic book convention, when representatives of a Dallas-based auction house told him his artwork was actually in private hands and scheduled to be auctioned later this month, with an estimated value of more than $50,000. The owner who consigned the work to the auction house, who hasn’t been named, had bought it for $5,000 in a 1993 Sotheby’s auction. It was on a catalog page with comic art listed as coming from the collection of rock and roll star Graham Nash. The auction house, Heritage Auctions, now says it won’t auction the work until questions about ownership are resolved. A lawyer who had been representing Plastino pro bono was told by the Kennedy Library the artwork was never in its possession. Out of all the things I have to be thankful for, when it comes to this blog the two I appreciate most are my friends who send interesting items to write about, and the readers who do their best to save me from my frequent copyediting blunders. I am grateful for the help!